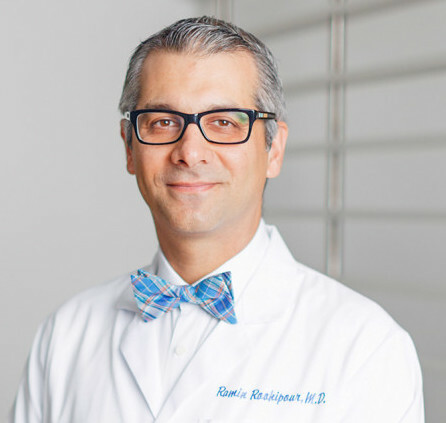 Dr. Ramin Roohipour is a board certified general surgeon who is fellowship trained in Minimally Invasive, Metabolic & Endocrine Surgery. In 2014 Dr. Roohipour performed the First Robotic Single Site, Extra-Peritoneal Bilateral Inguinal Hernia Surgery (Single Incision Robotic TEP) in the United States. Small incisions are made and plastic tubes called ports are placed through. A camera and thin instruments are then introduced through the ports to access the inside of the patient. In robotic surgery, surgeon makes tiny incisions in body and inserts miniaturized instruments and a camera. Surgeon manipulates those instruments from a nearby computer console. In this method surgeon uses a synthetic or biologic sheet, called mesh, as either a permanent or temporary support for organs and other tissues during surgery. Open hernia surgery is performed for large and complex cases, a single long incision is made in the groin. If the hernia is bulging out of the abdominal wall, the bulge is pushed back into place. If a person discovers a hernia or has symptoms that suggest he or she might have a hernia, the person should consult a doctor. Hernias, even those that ache, if they are not tender and easy to reduce (push back into the abdomen), are not surgical emergencies, but all hernias have the potential to become serious. If you already have a hernia and it suddenly becomes painful, tender, and irreducible (cannot be pushed it back inside), you should go to the emergency department. Strangulation (cut off blood supply) of intestine within the hernia sac can lead to gangrenous (dead) bowel in as little as six hours. What Is the Difference Between Robotic & Laparoscopic Hernia Surgery? Laparoscopic surgery and robotic surgery are both minimally invasive. The major difference between laparoscopic and robotic surgeries is that robotic surgery allows the surgeon more precision in the areas that needed. Overall, the outcome of robotic and laparoscopic procedures are similar. Is Hernia Surgery Done as Outpatient? Most hernia repair surgeries on adults and healthy children can be done on an outpatient basis. Outpatient surgeries provides quicker ambulation and discharge. Complex hernias and hernia repairs in high risk patients are preferably done in hospital setting. How Soon Can I Resume Work after a Hernia Repair? Depending on your occupation, full recovery from hernia surgery may take anywhere from one to six weeks. How soon you can return to work depends on the kind of work you do. If you have a very strenuous job or one that requires heavy lifting, it may take somewhere from 4 to 6 weeks before you can perform your duties without restriction. On the other hand, if you have a desk job, you may be back to work in as little as two to three days. Always ask your doctor for advice on when to return to work and resume your normal daily activities. How Much Does a Hernia Repair Cost? Most hernia surgeries are considered medical necessity and covered by most insurances. For patients without insurance, financial assistance is available through independent financial institutions. For further information, please call our office at (310) 326-3062 or email us at info@torrancesurgical.com. Have More Questions About Your Hernia Condition? A year and a half after my first hernia surgery I needed the other side done. I went again to Dr. Ramin because the first repair went so well. This second one went as smoothly. He is great to work with and very careful. I only needed over the counter painkillers the next morning. Following instructions, I started walking outside the next day and was doing 3 miles by the third day (I’m a runner). After 6 days I was gently jogging and then back to a full pace about ten days after. I would recommend Dr. Ramin to anyone along with the Torrance Hernia Center where the operation was done. A great surgeon and a wonderful facility. My story starts with being tired of feeling bad and taking pill after pill and never feeling any real relief. I had a hernia that gave me the blues, overweight, acid reflux and lots of other annoying physical ailments due to being overweight. While I greatly appreciate Dr. Rohiipoor’s knowledge as a physician and surgeon, it is his human spirit and compassion that really touched my life. My surgery went well, no issues at all. He came by to see how I was doing every day I was in the hospital and I have to tell you his happy attitude brighten my day. If anything at all was bothering me, he took care of it. My appointments are like visiting with an old friend – he is kind, caring, and a wonderful person. He has good suggestions and I always feel good after seeing him. Dr. Roohipour is board-certified & fellowship-trained specialist with years of experience in diagnostic and therapeutic procedures. 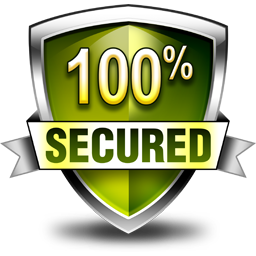 We ensure the best outcome is met the quickest recovery without compromising the safety. Torrance Hernia Center is the pioneer of robotic & Laparoscopic hernia surgery in South Bay. Free consultation with PPO Insurances only. Terms and conditions apply. Please inquire before your consultation.